Can This Machine Help With Escaping Poverty, Fending off Disease and Pursuing Education? At St. Joseph’s girls school in Sierra Leone, West Africa, they have a solution. 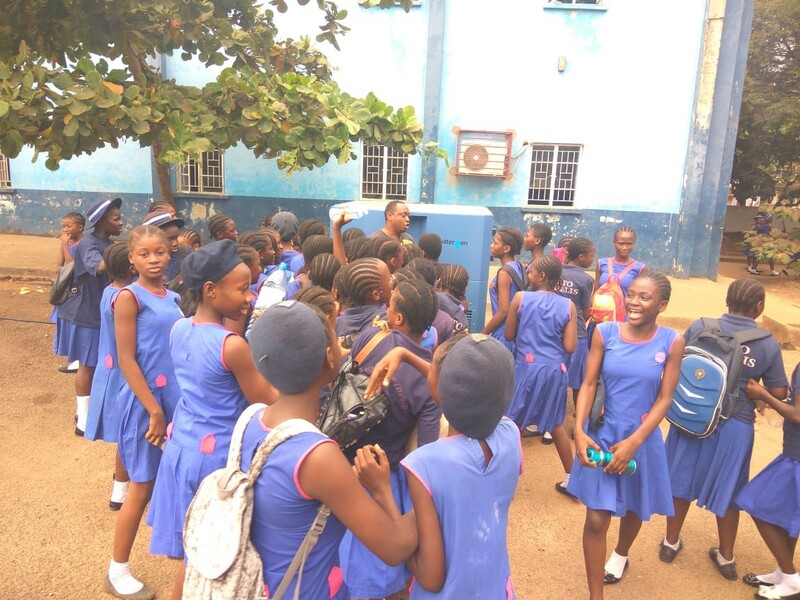 Watergen placed a GEN-350 unit in Sierra Leone, West Africa, at a girls school and students are happily lining up, filling up water bottles.